Random Power Tables for Mystery Men! 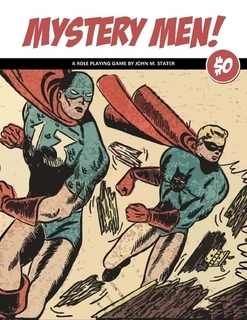 You may have heard of a cool game called Mystery Men! If not, then all the info you need to get the free e-book or to order a real paper copy for only $8.00 can be found here on the LAND OF NOD blog. Mystery Men! is a superhero role playing game inspired by the golden age of comics. The sample characters in the book are derived from characters in the public domain. Public Domain Superheroes and Comic Book Plus are great sites to research these types of comic books. And although that is the historical focus of the sample characters and background, the simplicity of the rules and the creatures and enemies provided would allow you to easily run it with other genres such as science fiction or fantasy. 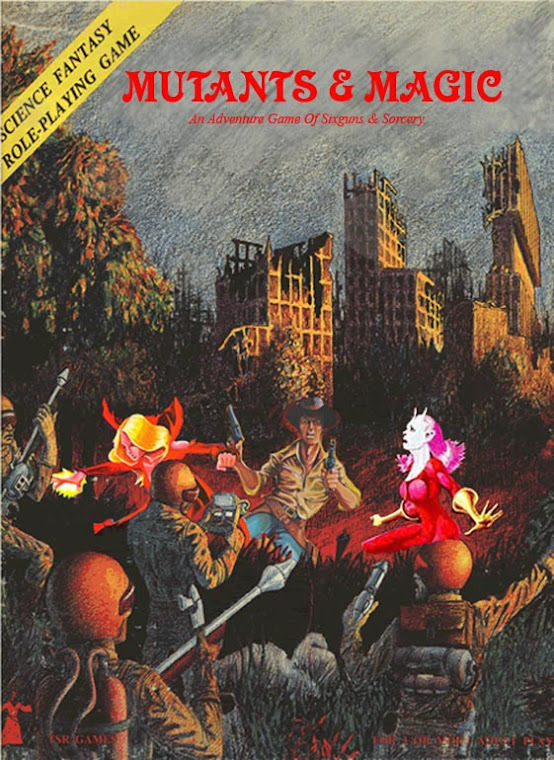 The only thing "missing" is a way to roll random super powers. During character creation, you first need to know the character's Power Level and total starting XP to be spent on super powers. Then you can decide which power tables you want to roll on based on the XP point range you want to spend on each power. Keep in mind that the XP cost of the power could be reduced by 50% if you choose to give it a flaw or describe it as an object, gadget or item of power. 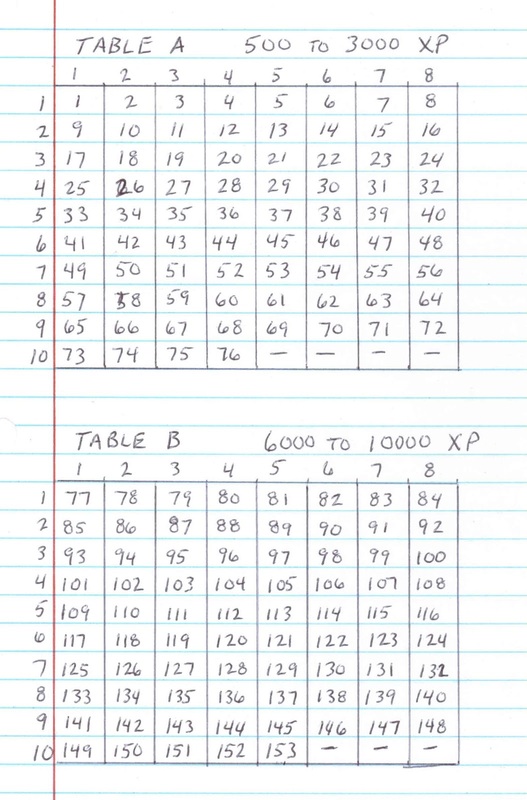 There are a total of 262 different power numbers sorted by XP cost on four tables. 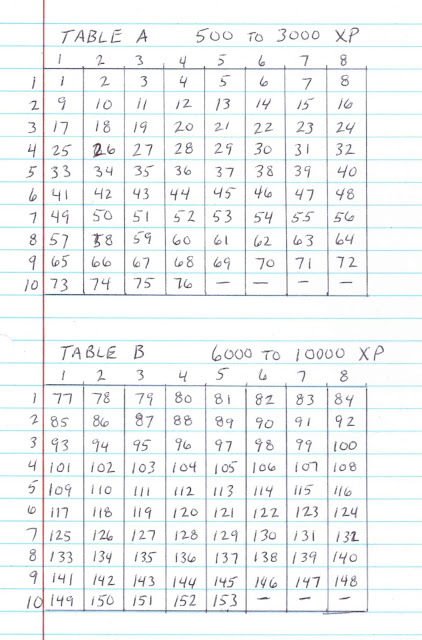 Table A lists powers 1 to 76 and the XP cost range is from 500 to 3000. Table B lists powers 77 to 153 and the XP cost rage is from 6000 to 10000. 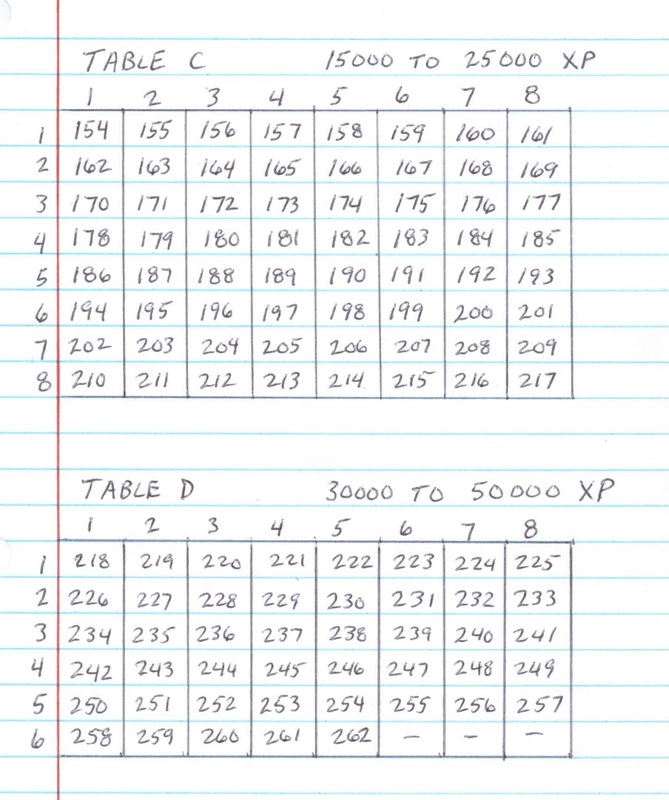 Table C lists powers 154 to 217 and the XP cost range is from 15000 to 25000. 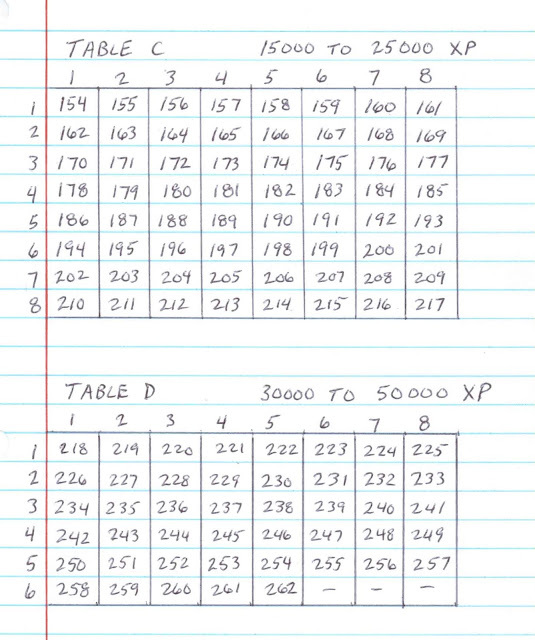 Table D lists powers 218 to 262 and the XP cost range is from 30000 to 50000. After deciding the XP cost range you would like to spend on the power, I.E. which table to roll on, roll the appropriate die for the row and the column and cross reference to find the number of the power on the list of powers below. EXAMPLE ROLL ONE: I only want to spend between 500 and 3000 on my super power. Choosing Table A, I roll a 1d10 for the row and a 1d8 for the column. Rolling first a 4 and then a 5, I see that I get power #29 from the power list below. This is an Attack type power called Strike True which costs 1000 XP. EXAMPLE ROLL TWO: I'd like to spend between 30000 and 50000 on another power. Choosing Table D, I roll a 1d6 for the row and a 1d8 for the column. Rolling first a 5 and then a 7, I see that I get power #256 from the power list below. This is an Miscellaneous type power called Elemental Swarm which costs 50000 XP. I could potentially reduce the cost of any power I roll by 50% by giving it some sort of flaw or saying it's built into some kind of item.